A massive 260 households have ordered solar through MASH and the Hepburn Solar Bulk-Buys since the 19th of August 2018 when the Victorian State Government solar panels rebate was announced. Worth up to $2225, the rebate is stimulating mega-demand through the MASH & Hepburn community solar bulk-buys and across the industry. Lots of customers have been asking us whether this rebate will still be available after the election on 24 November 2018, even if their system hasn’t been installed by that date. The MASH team has been talking to Solar Victoria, who administer the rebate, to check out the details. The good news is that the answer is YES. The rebate will continue to be available after the election – regardless of which party wins – and it will be available to eligible households until 30 June 2019 or when 24,000 homes have received the rebate, whichever comes first. Solar Victoria tell us that there are still thousands of rebates left. • Your combined household taxable income must be less than $180,000/yr. • You are the owner-occupier of the home – and this is your primary residence. • Your home is valued at under $3 million. • You don’t have solar PV on my property OR you are replacing a solar PV system that was installed before 1 November 2009. Get full details of eligibility criteria here. Solar Victoria advises that if you haven’t had your solar system installed yet, but would like to ensure eligibility for the rebate, the best thing to do is to complete the eligibility form on their website at www.solar.vic.gov.au. Only Solar Victoria can confirm your eligibility. You will need to supply a Solar Provider Statement with your eligibility form. Energy Matters, the MASH solar supplier, will send you the Solar Provider Statement if you send them an email requesting it to: customer@energymatters.com.au. Alternatively you can call them on 1300 363 744. Once a householder is eligible they will receive an eligibility number via email, which effectively reserves their spot in the rebate queue for up to 4 months while installation takes place. If installation takes longer than 3 months, the householder will receive an email prompt from Solar Victoria asking whether they still plan on installing the solar. 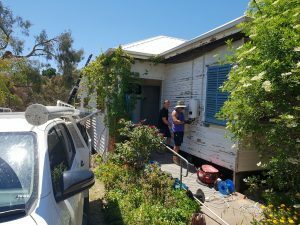 At this point, the householder can request a longer installation period which Solar Victoria says that they will be happy to grant, providing that the installation is completed prior to 30 June 2019. And more good news!! Solar Victoria has confirmed that if you meet the eligibility criteria and your Solar Provider Statement is approved, they will hold a rebate aside for you. Once you submit all the correct paperwork post-installation – within the time period specified by Solar Victoria – then there is every likelihood (although not an absolute guarantee) that you will be paid the rebate. The rebate is paid to households via EFT transfer from Sustainability Victoria. It is typically paid within 4 weeks of submitting all the correct paperwork once your system has been installed. If you do not have access to the Internet, you can call Solar Victoria and ask them to post you the relevant forms. Find out more about the rebate at the MASH Solar & Rebate Info Meeting on Tuesday 20 November, 6.30pm-8pm at the Castlemaine Senior Citizens Centre. To reserve your place, visit www.mash.org.au/events or call MASH on 1300 466 274. To contact Solar Victoria about the rebate, visit www.solar.vic.gov.au or call 1300 363 744.